What's the din if someone was m'kadesh the word "aleihem" ... "dabar Hashem aleihem". He was makadesh first the Shem wrote it and then got mixed up after seeing the "alef-lamed" together and was mkadesh that and realized after writing "alef-lamed". What's the din? kal vchomer in this case that "hekdesh b'taus aino hekdesh". My sofek was perhaps this is worse since the first 2 (or three letters) are a name of HaShem. See Keses HaSofer Siman 12 sif gimmel and sif-katan gimmel in Lishcas HaSofer. I have a feeling I'm wrong here however I want to know *why* is this different or not even comparable. 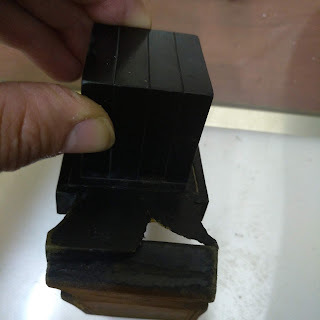 The issue of e-l from e-lokim, is only when the shem is itself kadosh, then even the the 2 letters since they constitute a shem bythemself [although his cavana was not to write shem e-l, rather another shem - e-lokim] therefore they are kodesh. But in a case that the whole word would not be kadosh (according to Rema above) the first 2 letters are not kodesh, as well. This is pashut from the Rema himself, he is speaking about "elohim acherim" that isnt kodesh, although a person mistakenly was mekadesh the "elohim" there, and the Rema was not concerned about the e-l of elohim acherim. The difference is, that in yehuda his mistake was thinking that the correct word should be written sham YKVK, indeed wrote it lshem kedusha - therefore this is a shem kodesh, although written in the wrong place "shem shlo bimkomo". But in the question of aleihem, his mistake is in thinking this is a shem, but actualy mekadesh a word of chol, the kedusha doesn't apply. I don't understand. 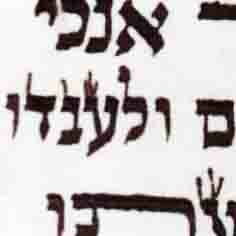 In both cases there is a word of chol where he thought was a Shem Kodesh and wrote it l'shem kedusha. Yehuda is worse because it has in it YKVK? 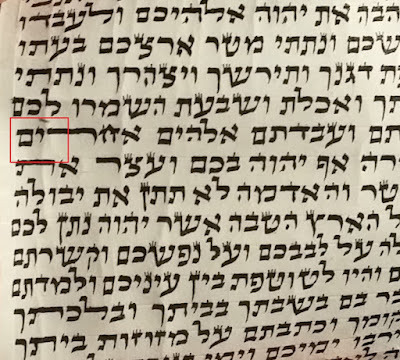 He did not intend to write yehuda, he mistaked and thought the correct word to be written should be YKVK and wrote so - so there is a complete shem kadosh written, but the mistake is that there should be a different word. But if the mistake was that he thought that yehuda is a shem, then the Rema's ruling applies. And if he wrote YK of yehuda according to the din this is not kadosh [there probably will be big problem of maris ha'ayin, but that may be solved, in contrast to mechikas hashem which is forbidden.